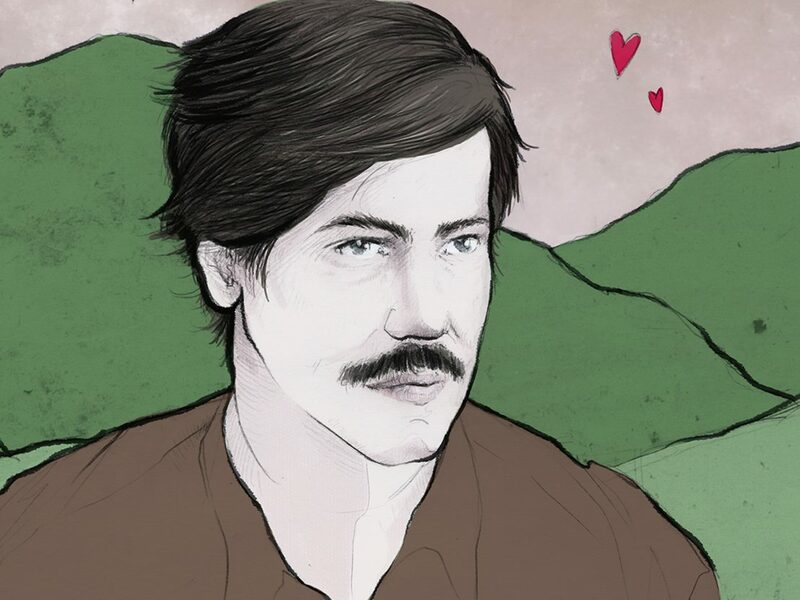 The US film and television actor discusses playing a conversion therapy pastor in Desiree Akhavan’s The Miseducation of Cameron Post. You may well recognise American actor John Gallagher Jr as ‘that guy’, be it from Destin Daniel Cretton’s Short Term 12, Dan Trachtenberg’s 10 Cloverfield Lane or TV’s The Newsroom (he’s also a talented musician). 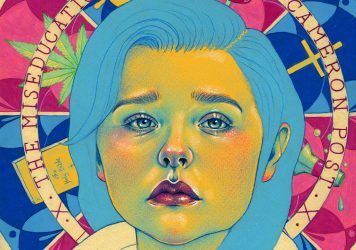 In Desiree Akhavan’s humorous and hard-hitting new film, The Miseducation of Cameron Post, he plays Reverend Rick, a guitar-strumming pastor at a Christian conversion camp. We caught up with Gallagher Jr recently to find out why the role became the most important of his career so far. LWLies: What were your first impressions when you read the script? Were you familiar with the novel? Gallagher Jr: It was new to me. I was not familiar with the novel but I was familiar with Desiree Akhavan’s work – I’d seen Appropriate Behaviour about a year or two prior and had really enjoyed it. I thought she was a really exciting filmmaker, and I remember thinking, ‘Oh wow, I can’t wait to see what she does next.’ So when I got sent the script for Cameron Post, I noticed right off that bat that her name was attached which was really exciting. I started reading the script and really didn’t know what to expect at all. I didn’t know what it was about, but I got sucked in. It was this perfect blend of realism and humour, and there were genuine stakes that the characters were experiencing. Then I got to the scene with my character, and I was quite taken with the role. I didn’t necessarily think I was the right guy for the part – I rarely do – but I met with Desiree and she talked me into it. She convinced me I could do it. …Now I’m one of the adults. Yes! Did that ever occur to you? Oh, totally. It really did. It’s kind of funny because I did this film a couple of years ago called Short Term 12, which is similar in that it takes place in a facility for at-risk youths. But it doesn’t have the same kind of problematic treatment at the centre of it. But I remember thinking when I did that film, and when I did Cameron Post, ‘Oh gosh, these are all kind of under the same umbrella as Spring Awakening,’ which really is about finding yourself as you’re approaching adulthood and trying to figure out your needs and your desires in the faces of an oppressive community. Maybe this is such a universal theme that I keep stumbling into it. What was different about the role of Rick? What appealed to me about Rick was that he seemed to me to be someone who is just as tormented as the children, having gone through the same type of treatment and come out on the other end of it. It’s tricky, because who can say if it did work for him. Did he get cured, or is he just going along with it because it’s an easier existence than facing up to something you’ve been made to believe is completely sinful and shameful? I was drawn to the role because he has that little sliver of humanity about him. Did you speak to anyone involved in conversion therapy for research? I didn’t, but I know Desiree and Chloë Grace Moretz did. I joined the film pretty late in the game, so I didn’t have a lot of time. I had to do a kind of crash course – Desiree sent me some documentaries and YouTube interviews with people who had gone through conversion therapy, and that was my homework. But I didn’t want to make Rick a flat-out villain, y’know. It’s amazing what a person will do when they believe they’re doing the right thing, when they’ve convinced themselves. There’s almost a softness to the film. It would have been easy to portray the camp as a hell hole, but everything seems so normalised. The scariest part to me of any terrible thing is the normalisation of it. Just being worn down every day. Some of the most heartbreaking scenes in the film are where you see Cameron start to wonder if she belongs at the camp. You see how the seeds of doubt and shame are sowed. Do you think that films like this do have the power to change people’s perceptions of sexuality and conversion therapy camps? I think so. I hope so. It changed mine – not that I was pro-conversion therapy before doing the film! But I was ignorant, and a little naive, and when we shot the film in 2016 I thought, ‘People don’t do this anymore, it’s archaic, it’s medieval,’ and I was shocked to learn it’s still being practiced and there’s not a lot of safeguards to keep kids safe from it. That really knocked me out. Then I thought, ‘Okay, we have to make this movie, because if I’m feeling that way, then I’m sure so many other people are as well.’ It’s a film that can wake some other people up and make them aware. As long as it’s still happening, there’s an obligation to tell these stories, and make art that questions and challenges that. Have you had any reactions from people who’ve been through this process? You know when we premiered at Sundance there was a guy there who had been through gay conversion therapy treatment as a young man. He was a source of inspiration for Chloë and Desiree. We’ve had people come up to us at film festivals and say they were sent to camps like this, or that they knew someone who was. You don’t have to dig too deep to find someone who’s been affected by this kind of prejudice. I hope that it will be a comfort, and that it will make people who are suffering feel a little less alone. 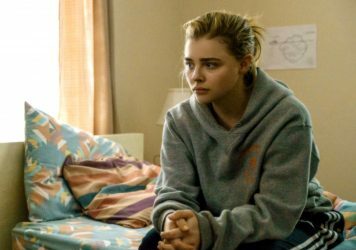 The Miseducation of Cameron Post is released 7 September. Read the LWLies recommends review and read an interview with director Desiree Akhavan exclusively in our latest print edition.